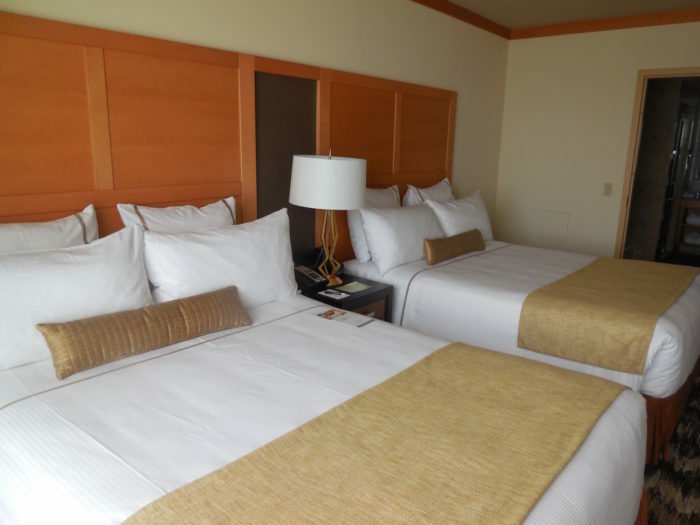 My wife and I decided on a quick getaway to Temecula, California, to try out a spot getting good buzz, Pechanga Resort & Casino. After a speedy check-in, we headed to Kelsey’s, one of 11 restaurants. 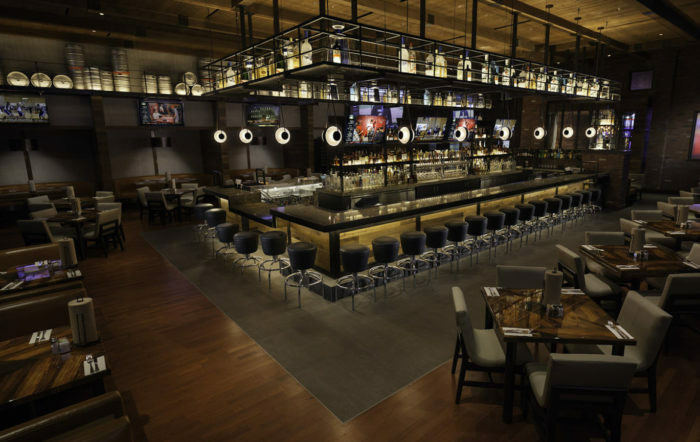 It’s a sleek American pub specializing in hand-cut, barbecued meats and craft beer. It was our first of three “wow” food experiences. Let me recommend a meal: start with the award winning chili and an order of cornbread; next, order any dish that features the smoked tri-tip; finish with freshly made churros. Good food, good service…enough said! We ended the afternoon at Spa Pechanga. In its calm atmosphere, one can unwind with a steam, lounge in the “quiet room” and then get pampered with your choice of a broad range of massages, body treatments, skin care or salon services. 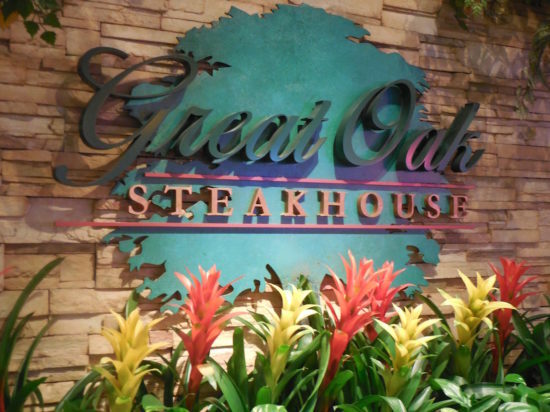 Evening found us at the award-winning Great Oak Steakhouse. Perfectly prepared prime Black Angus beef is king here and, along with specialty drinks and an exceptional wine list, it’s no surprise they’ve earned a AAA Four Star rating every year since 2012. Generous cuts of steak come with a choice of five classic sauces. The cocktail and wine pours are liberal and the breads freshly baked. Save room for house made desserts. It’s fine dining at its best. We ended the night at the Pechanga Cabaret, one of five bars/lounges, and listened to live music while enjoying a nightcap. After a good night’s sleep in our comfortable, quiet room and a quick breakfast at the Pechanga Cafe, I was off to a morning Hold ‘em tournament. I was surprised to see about 100 players. Although knocked out 1.5 hours later, it was satisfying to compete. Surprising note: the casino is as big as the MGM Grand’s in Las Vegas and the largest in California! Bingo? Yes, we attended the matinee session (free popcorn and soda) and soon realized “This is not your grandmother’s game.” It’s speedy and hi-tech, including the option to play multiple games with an iPad keeping score. It’s a hoot. Dinner, again, was first rate. 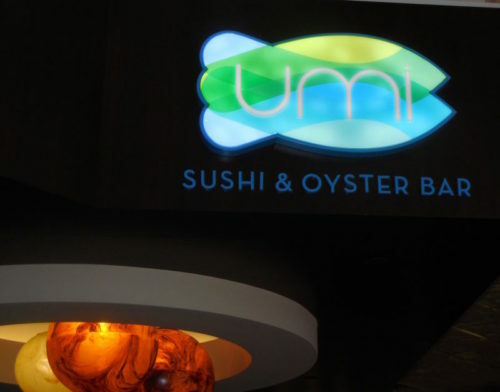 Umi Sushi & Oyster Bar features fresh seafood, a raw bar, sushi, sashimi, maki and specialty fish dishes. The menu is conducive to my favorite pastime, “grazing.” My lychee martini was followed by shrimp tempura, tuna poke and a grilled shrimp salad. 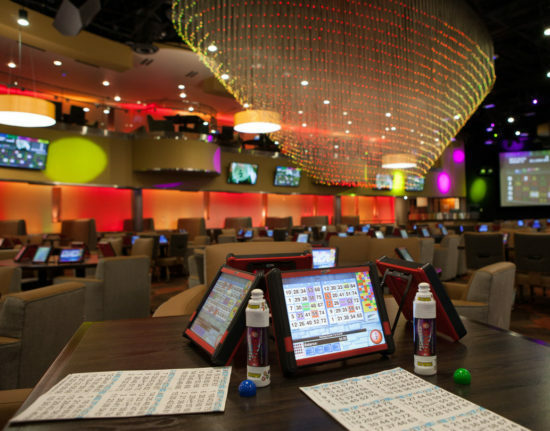 The Pechanga Resort & Casino, www.Pechanga.com, earns its Four Diamond rating with a host of amenities, including Wi-Fi, HDTV, turn down service, in-room safe with electronics charger, complimentary valet parking, fitness area, sauna and a nearby five mile walking/jogging path. Its 23,000 square foot convention and meeting space can accommodate up to 2,000 people. Pechanga is currently adding another 500+ rooms, an additional 68,000 square feet of meeting space and a spectacular two-story spa. Another major piece of the expansion is a 4-acre outdoor area that will include 8 pools. Call 1-888-PECHANGA (732-4264) for information and/or reservations. Although it was a first visit for me, the Pechanga Band of Luiseño Indians has called the Temecula Valley home for more than 10,000 years. Their current history, like that of most other California tribal units, is rife with the dismal results of America’s Manifest Destiny and the activities of the Spanish Missionaries. 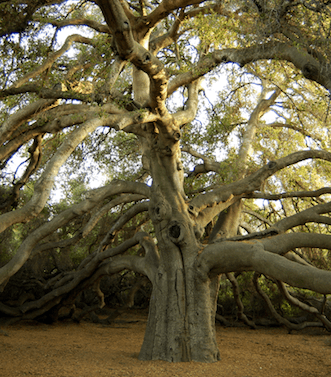 They refer to the Great Oak, located on their land, as “one of the largest natural-growing, indigenous coast, live oak trees in the United States and estimated to be anywhere from 850 to 1,500 years old.” It is symbolic of the Pechanga Band…“strength, wisdom, longevity and determination.” Today, the hum of expansion and success fills the air. 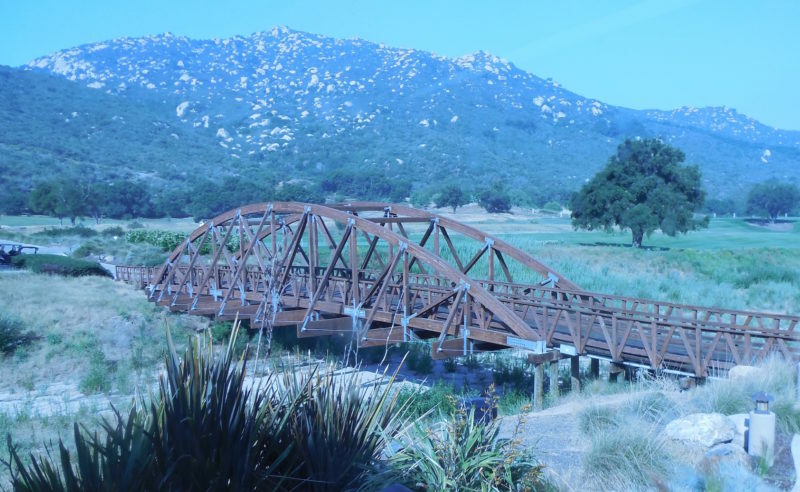 Thanks to the Pechanga website for photos, information, etc. 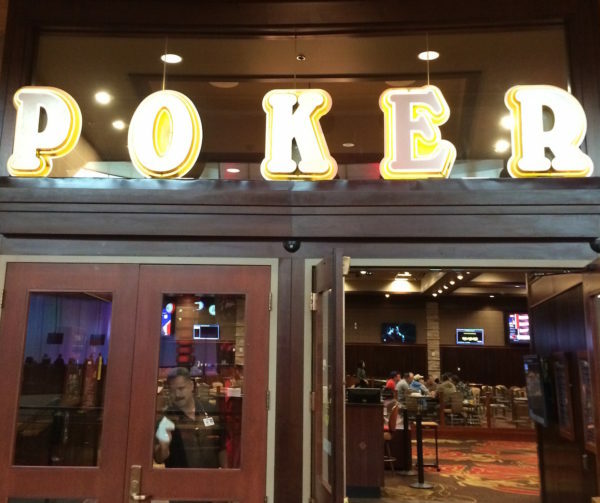 This entry was posted in Poker, Travel Stories and tagged california, Indian gaming, poker, resorts, travel. Bookmark the permalink.